Traditionally, the first Thursday of May is local election day. This weekend, spare a thought for those good local councillors who have lost seats, not because of local issues, but because the electorate wanted to punish Messrs.Cameron and Clegg. I cut my teeth in local politics. Forty years ago, on May 4th 1972, I was the surprise victor in Low Hill, an inner city Ward of Liverpool. Aged 21, still a student, I was daunted to find myself entrusted with the care of a community where half the homes were without inside sanitation. In streets, some of which were lit by gas, there was chronic poverty but incredible generosity; slum clearance but strong communities; wonderful humour. Faith, family, and friendship were in the DNA. Finding Somewhere For the Birds To Sing. People take various routes into politics. Mine was the well trod path from local government into the House of Commons. I now sit as an independent in the Lords. Throughout the 1970s I served as a member of the Liverpool City Council and the now defunct Merseyside County Council. Beginning life as the council babe – as a precocious 21-year-old student, and the council’s youngest member – at various times I served as the Council’s Deputy Leader, as Chief Whip and Chairman of the Housing Committee. Election to the House of Commons, in a bizarre by-election held the day after the Callaghan Government lost a vote of confidence, sent me to the Commons, once again as the enfant terrible (ital), but also as the shortest lived MP. Only two or three days elapsed before the House was prorogued and MPs headed off to fight the 1979 General Election that brought Margaret Thatcher to power. Four weeks later, having endured two election campaigns and two election counts – I was one and a half stone lighter, and finally able to take stock of my new role: Member of Parliament for Liverpool’s Edge Hill Division, and one of just 11 Liberal MPs, the rump of what was left of Mr.Gladstone’s patrimony. I was struck by the powerlessness of the backbench MP in a tiny minority party. Margaret Thatcher enjoyed a working majority, the desultory Labour opposition was in a state of collapse and Marxist neophytes, in cities like my own, were beginning their long campaign of attrition to seize control of Labour. Meanwhile, the former Liberal leader, Jeremy Thorpe, was before the court on charges of conspiracy to murder, and it seemed very unlikely that a handful of diehard Liberals could make much difference in Parliament. I compared the resources that I had enjoyed in my local government role with those available to me now. As Housing Chairman, and as the Council’s deputy leader, I had access to officials and resources: decisions I promoted through the Local Authority ( on issues such as building low cost homes for sale on inner city sites, promoting housing co-operatives, designating the biggest housing action area programme in Britain) made a real difference in the lives of under-privileged people. The contrast between being able to deliver inside sanitation and hot water to homes that had previously been without them ( 50% of the homes in my Council Ward were without these basic amenities) and the ineffectual banalities of political slanging in the House could not have been greater. My part-time secretary, a dingy office, wholly inadequate resources to properly service the needs of constituents who deluged me in the desperate hope that I could put right some injustice, seemed a poor substitute for the realities of local government. And yet, and yet. Early on during my time in the Commons I decided that as well as playing a role in my party, I should simply take the opportunity that the Commons offered to pursue the causes about which I cared and to relate the symptoms I saw on the ground in my constituency to the legislative causes: to become “a good constituency MP” and “a good parliamentarian”. In short, to use whatever time I had in the House to achieve small things. In retrospect, this was the right decision. Too many people now seem to go into Parliament in the mistaken hope of becoming something else – one of the great political panjandrums, climbing ladders that with another the of the dice take you back to where you started. The parliamentary game has many more snakes that propel you down than ladders to take you up. Enoch Powell was broadly right when he said that political careers end in failure, and the parliamentary landscape is littered with the wreckage of frustrated and failed ministerial careers. Festering bitterness followed by years of back-stabbing, seems a poor substitute for the satisfaction and fulfilment enjoyed by “campaigning” MPs. Parliament is also better for having more independent voices. The post-1997 Parliaments have been characterised by a slavish, unquestioning adherence that it took a War inIraq to end. This is not healthy for a parliamentary democracy. They say that for the pearl to emerge from the oyster a bit of grit has got to enter in. We need many more bits of grit in our House of Commons. E.M.Forster, says in “Two Cheers for Democracy” (ital) that the saving grace of our parliamentary system is the cranky, often idiosyncratic MP who by dint of effort perseveres and get some injustice put right. No doubt dictatorships are easier systems to run operate but totalitarianism has little else to commend it. Democracies can be judged by the vigour and effectiveness of their oppositions: when the Loyal Opposition is in disarray and consumed by internecine warfare (pace Labour in 1979 and the Conservatives in 1997) it weakens the process of accountability. When, during those same periods, internal opposition within the governing parties is stifled by the unedifying sight of aspirant career politicians waiting in the queue for buggins turn as a parliamentary under secretary of state, it makes matters even worse. If the unhappy soul, the aspiring politicians, only finds their voice when they have been passed over for the umpteenth time or sacked to make way for someone else, it isn’t usually conducive for the credibility (or for the quality of the views they then express). And hell knoweth no fury like a politician spurned. I am not arguing that there is no role point in taking on arduous part responsibilities in politics, and that no one should ever leave the backbenches. Quite the reverse. If parties did not exist bands of independents would rapidly coalesce and for them. Alliances are the only way to create majorities capable of delivering votes and priorities. Independents inevitably have to sacrifice something from their own agenda in order to gain acceptance for a key objective: it is often described as the clash between purity and power but it is much more subtle than this and perfectly honourable. The sin is to surrender every last principle for the unalloyed pursuit of power and to forget why you probably came into politics in the first place. Phrases like “serving the people”, “public duty” and “civic responsibility” are now routinely scoffed at; but when I first entered Parliament there were a lot of Members (many of whom came into the Commons after serving in the forces during World War Two|) who genuinely and passionately believed in those virtuous reasons for engaging in politics. And who will say that the MPs who appeared before the House of Commons Privileges Committee, during the 1990s when I served a member investigating the “cash for questions” scandal, were driven by higher ideals? Although I am no longer a member of a political party I do not despise party politics. I do not condescendingly see it as “a necessary evil.” Parties are an indispensable part of the political architecture. If you can find one in which you can happily live, you should join a party and, if you are fortunate enough to hold elected office, work through the party to serve the needs and interests of your constituents. Churchill – who was a Conservative, a Liberal and a Conservative again – said a man should not be without a party for too long. I agree but would simply add the caveat that it is not worth staying in a party at all costs. I measure politicians by their causes – not by whether they are left, right, or centre. If they don’t have a cause of any kind then they are usually there for all the wrong reasons. And if they surrender or forget their causes, simply to make political progress, it isn’t usually good for them or, in the longer term, for their party or democracy generally. For thirty years I was myself a party member. At various times, as Liberal Chief Whip, Chairman of its Policy Committee, its Finance Committee, its By-Election Unit, and its Candidates Committee, – and as its parliamentary spokesman on a whole raft of issues – I worked hard for its progress. As a Parliamentary Spokesman on Home Office, Environment, Local Government,Northern Ireland, and other portfolios, I did my fair share of “front bench” jobs in the Commons. On numerous Standing Committees – where I served as a lone minority Member – I shadowed vast Bills on everything from telecommunications to Immigration. Getting the balance between these duties, and being a “good constituency MP” – as well as pursuing non-party causes – was always difficult but one activity fed into and cultivated the other. I often found that the personal issues I was hearing about at weekly advice centres (which would often last for most of a day) would form the basis of an amendment to a Bill or a campaign. The more that politics is about a shelteredWestminsterexistence – informed only by the chatter of the Islington dining rooms and where PC stands for political correctness rather than political conviction or political courage, the less likely it is that politics will be relevant to ordinary people. If you want to know why only 6% of the people bothered to vote in a local government by-election; why only 1 in 3 voted in one inner city constituency at the last General Election; and why we have see the rise of groups like the British National Party – it is because politicians have abandoned grass-roots affinities with local communities and replaced day to day contact with real life and real issues with marginal fringe concerns. Politics has become obsessed with tick-box agendas driven on by well financed little lobby groups who pursue issues that are largely irrelevant to the vast majority of British people. My first real clash with my party came when I was 23 and fighting my parliamentary seat for the first time. A local councillor (one of our own) used his position to advance applications for housing grants and planning permissions on properties he owned. I exposed this and a motion was moved to expel me from the Party. No action was to be taken against the miscreant. Happily, the local members saw the paradox and voted with me, against the party leadership, but it was nevertheless a useful baptism of fire. During the years that followed I rarely had any major differences with my colleagues over issues of principle. This period – the 1980s – was a less happy time for members of the Labour Party, which had become riven by Left-Right warfare on a whole range of ideological issues. In the end, significant political players, such as David Owen, Shirley Williams and Roy Jenkins, left Labour to found the Social Democrats. They were unable to accept, any longer, the attempts to coerce them into unacceptable gyrations on key questions such as the operation of a social market,Europeand defence. As Liberal Chief Whip during much of the period of the Liberal-SDP Alliance I saw, at close quarters, the destructive effect that Labour’s attempts to impose ideological straight-jacket had on many of their own members. It also subverted the role of an MP. Many of them returned to their constituencies only to be confronted by small gaggles of activists attempting to intimidate and deselect them on a regular basis. The Birkenhead MP, Frank Field, spent most of the 1980s doing nothing other than fighting members of his local party who were determined to remove him as their MP. these battles threw into sharp relief Edmund Burke’s old question about whether an MP is a delegate or a representative. Ironically, although groups like the Trtskyite entryists, the Militant tendency, were ultimately defeated by Neil Kinnock, John Smith and Tony Blair, New Labour is also prone to move power away from constituents into the hands of party activists albeit more surreptitiously and subtly. For instance, Labour’s decision to elect Members of the European Parliament by the closed-party list system vests huge power in the hands of a few hundred party activists. The electorate, for the very first time, have to vote for a take-it-or-leave-it party list and can no longer vote for individual candidates. This subverts Burke’s dictum and entrenches the hold of a party over their delegate. It dangerously erodes democratic accountability and saps the independence of the MEP. Many in the Labour Party have indicated that they would like to see the same system replace the first-past-the-post constituency system forWestminster. This will merely entrench the power of the parties and the alienation of the voters. Blind allegiance to a political party should not be the bedrock of our political life but there is no great virtue in staying outside the flow if you can comfortably feel you can enter it.
. Historically, there have been a whole host of political players who have left their parties over shifts to left or right or because of individual issues of principle. Our two greatest Prime Ministers, W.E.Gladstone and Winston Churchill were amongst them. In trying to square political realities – pragmatism – with some sense of principled politics, I have personally adhered to what might be called the fifty per cent plus one rule: that is, if you can broadly agree with a majority of a party’s platform it is possible to remain a member but when you find yourself in disagreement with a majority or significant part of its policies – or a particular issue of principle – then it is time to go. In 1992 I was faced with a dilemma that led me out of party politics. For the first time, the party decided to make abortion a matter of party policy. At the morning session of the party conference delegates had passed a policy resolution on animal welfare – that included protection for goldfish on sale in fun fairs and amusement arcades. In the afternoon they then passed a resolution supporting the taking of life of the unborn, including the lives of disabled babies, who could be aborted up to and during birth. Unable to accept this, I announced that I would stand down and when that Parliament expired I did not renew my party membership. Having kicked off the dust from my shoes and accepted a chair at Liverpool’s John Moores University – where I have been director of their Foundation for Citizenship – I was startled to be offered a life peerage by John Major in the dissolution honours list in 1997. I opted to sit as an independent Crossbencher. The Upper House was just about to be “reformed”, so the ensuring seven years have given me plenty of food for thought about the role of the second chamber and its members. One of the traditional attractions of the Lords is that those who sat there – whether hereditary or life peers – had a healthy independence and willingness to send back Bills to the House of Commons. During Margaret Thatcher’s years the only time she suffered parliamentary defeats was at the hands of the unelected House of Lords. Tony Blair, on issues such as trial by jury and fox hunting, has suffered the same fate. Labour had a manifesto commitment to abolishing the hereditary peerage. Their failure to say what they would put in its place led some of us to vote against giving them a blank cheque until they spelt out what reform would mean. It would be absurd, though, to suggest that the Lords has proved incapable of change or evolution. Until the seventeenth century Peers sat in the House in strict order of precedence – the Lords Spiritual on the right of the throne (and Church of England bishops still sit there until this day) and the Lords temporal on the left. Increasing membership led the authorities to put in more seats to accommodate the newly arrived Viscounts and Barons of the day. In 1876 the Appellate Jurisdiction Act allowed Law Lords to sit as Life Peers and in 1958 the creation of life peers created a permanent change in the composition and balance of the House. Earlier, in 1911 the Parliament Act – following a confrontation between the Liberal Government and the Lords – had seen its powers emasculated. The changes made by the Blair Government in the 1999 House of Lords Act – ending the automatic right of Hereditary Peers to sit and vote – were only the latest of these changes. Personally, I am always saddened that beyond the debate about political legitimacy that so little is ever said about the role played by individual hereditary peers who have often given devoted and non-partisan public service. I am also cynical about an argument for abolition that rested on democratic legitimacy and replaced hereditary peers with appointed peers. Owing your seat to a dead ancestor may even make you less biddable than owing your seat to a living Prime Minister. The role of the independent Crossbench peers continues to be especially important in trying to hold to account the political machines and government. In January 2000 the Royal Commission on the Reform of the House of Lords, chaired by Lord Wakeham, published its findings and pointed to the pivotal influence of the Crossbenches. Many peers believe that the built-in majority that the Conservative Party had always traditionally enjoyed in the Lords was no longer tenable but if this was not simply to be replaced by a Labour Party ascendancy, the best way to proceed was the creation of roughly equitable numbers between Government and Opposition with the Crossbenches holding the balance. So who exactly are the Crossbenchers? Peers in the Lords who do not take a party whip (i.e. they are not told how to vote by a political party) sit on the Crossbenches. They are well known for their independent. non-party political stance. They are people who have chosen not to accept a party allegiance for a whole host of reasons. Some come from outside the realm of politics; some are actively involved in work away from parliament and only come when issues arise where they feel they have specialised knowledge to offer. Others have been in political parties but want the independence that the Crossbenches permit. Many Crossbenchers have specialist expertise drawn from diverse disciplines – including academia, science, industry, the countryside, the armed forces, and the diplomatic service. Their contributions are always listened to with particular respect when they are speaking about their own discipline – and, in deed, they can have considerable influence on the outcome of debates. There are about 180 Crossbench Peers (about 150 life peers and just under 30 remaining hereditary peers). The 12 Lords of Appeal in Ordinary (the Law Lords) were also included in the Crossbench numbers. they are now part of the separated Supreme Court. In 2001 the Government famously appointed 15 individuals (selected by the House of Lords Appointment Commission) – dubbed by the media as the “people’s peers” – who also sit on the Crossbenches. During one Session alone some 9,782 amendments were made in the Lords to Bills. The role of peers in scrutinising legislation, in a far less adversarial atmosphere than the Commons, is clearly crucial. Many of those amendments were either enacted or formed the basis for compromise agreements being made with the Government. Crossbenchers are uniquely placed in drawing together cross-party coalitions. They also take their own initiatives, such as sponsoring private Members’ Bills. They have also regularly chaired the many influential Committees that have prepared reports that have then provided a framework for both legislations and the wider debate about public policy. One good example of this was the 1999 Protection of Children Act that was introduced by my colleague Lord Laming. Coming from a distinguished social services background he was ideally placed to introduce a Bill that among other things provided for lists to be compiled of those who are unsuitable to work with children. The Lords is also takes very seriously its role as a scrutinising chamber. A series of committees evaluate all of the legislation that issues from the European Parliament while all UK Primary Legislation (with the exception of Finance Bills) has to come under the glare of House of Lords scrutiny. This is work that will be deepened in the future. The role of both Houses of Parliament, the devolution of powers to Scotland, Wales and Northern Ireland – and in the future, to some of the English regions – the role of local democracy and directly elected mayors, and the redefinition of individual citizenship, have been preoccupations of the past decade. Over the previous twenty five years these issues were largely neglected. Apart from the abolition of the Greater London Council and the metropolitan county councils in 1973, governance issues were rarely concerns of the Conservative governments of 1979-97. While they were busy modernising industrial law and the British economy, the party of Burke and the Constitution, the party also of Chamberlain’s municipalism, was surprisingly disinterested in re-examining and reforming governance. In retrospect, and as they reflect on the nature of Lords reform and the introduction of measures such as the closed party list system of voting – they may come to see what an error this was. That the way in which we govern ourselves has once again become a central political concern is something I welcome. What I regret, is that tinkering around with the system now passes for reform, and that gaining a short-term partisan advantage has become a greater prize than entrenching sound democratic structures and real accountability. Thoreau once said that if you cut down all the trees, there will be nowhere left for the birds to sing. InBritain, our great oaks of central and local government, are something to prize and preserve. Before hacking away at their branches we need much greater thought and reflection. Hope University: Tuesday February 21st 2012. My three items of political memorabilia are linked to Liverpool. This was Britain’s first mass movement human rights campaign. Roscoe’s birth and burial place is Mount Pleasant – a busy thoroughfare abutting Rodney Street, where, in 1809, William Ewart Gladstone – four times Prime Minister, champion of Ireland, architect of free elementary education and the secret ballot – was born. His family’s wealth was derived from the slave trade – owning significant sugar plantations in the Caribbean. In 1833, as a young MP, Gladstone opposed the Abolition of Slavery Act – enacted as Wilberforce lay dying. On visiting the Statesman’s death bed, Gladstone prayed with him and now, animated by a deep Anglo-Catholic faith, vowed to renounce his previous support for slavery. Serendipitously, in 1998, the anniversary year of Gladstone’s death, a friend telephoned to say that a broken terracotta bust of the Grand Old Man had been rescued from a demolition site. The chest was caved in and the head encrusted with guano. Was I interested in buying it? Mr.Gladstone departed in my car boot. A few hours later it was in the gifted hands of my friend, Stephen Broadbent, the Liverpool sculptor. Beautifully restored, Mr.Gladstone took pride of place in my university office – appropriately enough, in Liverpool’s Rodney Street. It was later used to create a replica and presented to Liverpool’s blind community historian, Steve Binns: a Gladstone aficionado. Today, Mr.Gladstone dominates my study, along with something which he once said: “We look forward to the time when the power of love will replace the love of power, then will our world know the blessings of peace.” His last great speech – defending the Armenians against the atrocities of the Ottoman Turks – was delivered in Liverpool, in 1896, to 7,000 people at Hengler’s Circus, in today’s inner city where, as a student, I would one day become the local councillor and later an MP. Lord Alton of Liverpool has been an Independent Crossbench Peer since 1997, having served for 18 years as a Liverpool Member of Parliament. He is a former Liberal Chief Whip. He is Director of the Roscoe Foundation for Citizenship and is Professor of Citizenship at Liverpool John Moores University. 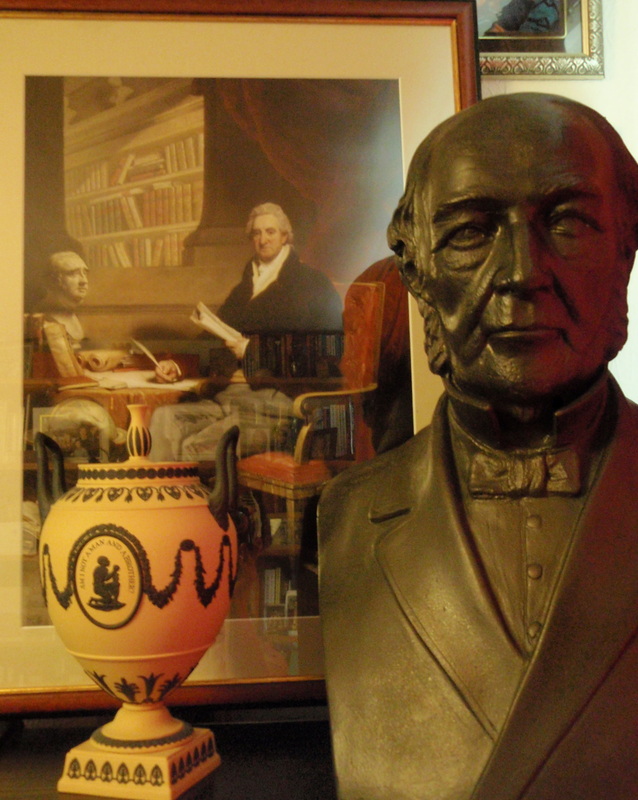 The three items in the picture are the restored bust of William Ewart Gladstone, a portrait of William Roscoe and a piece of Wedgewood pottery commemorating the abolition of the transatlantic slave trade. 1951 – Born David Patrick Paul Alton, son of Frederick and Bridget Alton. His father served in the Eighth Army, the Essex Regiment, and was a “Desert Rat,” subsequently working all his life for the Ford Motor Company. His mother was an Irish-speaking immigrant from the West of Ireland, whose own parents died in quick succession, probably of meningitis. 1962 – He left St Helens School Brentwood, and obtained a scholarship to the new Jesuit School, named for St. Edmund Campion, at Hornchurch. 1968 – He was elected as Chairman of the Brentwood Young Liberals and was involved in public protests against the Soviet invasion of Czechoslovakia and against apartheid in South Africa. 1969 – A student at Christ College Liverpool, he was elected as Chairman of the South Liverpool Young Liberals and Chairman of his branch of the Union of Liberal Students. 1972 – Left College with distinctions and took up a teaching post in Kirkby, Lancashire, later working for five years for Sefton Education Authority with children with special needs. Elected as Chairman of the North West Federation of Young Liberals. Elected as the country’s youngest City Councillor to Liverpool City Council, at the age of 21. 1973 – Elected to Merseyside County Council and subsequently appointed as Chief Whip of his Council Group. 1974 – At the age of 23 he was selected to contest Liverpool Edge Hill at the February and October General Elections. Taking second place he was one of only two candidates in the UK to improve their share of the poll between the two elections. 1978 – Deputy Leader of the Council and Housing Chairman. 1979 – In the same year of being appointed the national president for the National League of Liberals, David won Liverpool Edge Hill in a by-election to become an MP and his Parliamentary career began. Having become the youngest MP of the Parliament he was also the shorted-lived being elected the day after the Callaghan Government lost a Vote of Confidence. He made his Maiden Speech two and a half hours after taking his seat. David Alton was appointed Liberal Party spokesman on the environment and race relations, until 1981. During his time as an MP, David was a Member of a number of Select Committees – Environment (1981-1985) and House of Commons Privileges Committee (1994-1997). He was also a member of a host of All Party Select Groups – Vice Chairman of Drugs Misuse (1993-1997), Treasurer of Pro-Life (1993), Landmines (1996), Friends of CAFOD, Chairman of Street Children (1992-1997) and Secretary of the All-Party Ukraine Group (1990). 1981 – David Alton was appointed Liberal Party spokesman for Home Affairs. 1987 – Appointed Liberal-SDP Alliance Spokesman for Northern Ireland, until 1988. In the same year David helped to create the Jubilee Campaign – an interdominational Christian human rights pressure group lobbying Parliamentarians and governments for persecuted Christians and children’s rights world-wide. He resigned as Liberal chief Whip after coming third in the Private Members’ Ballot and introduced a Bill to stop late abortions. His first book What Kind of Country? is published. 1988 – His Private Members Bill received 296 votes in favour of its Second Reading – a majority of 45. The Bill was subsequently talked out by opponents but never lost a vote at any stage. He married Elizabeth Bell, a speech therapist specialising with the mentally handicapped, and daughter of the Reverend Philip and Mrs Dilys Bell. David and Elizabeth have four children. His second book Whose Choice Anyway? is published. 1989 – He brought together the Epiphany Group and published The Westminster Declaration, which led the next year to the formation of the Movement for Christian Democracy. 1990 – David Alton co-founded the Movement for Christian Democracy. 2,000 gathered at the Methodist Central Hall, Westminster, endorsed The Westminster Declaration and founded the Movement for Christian Democracy. He was also elected Treasurer of the All-Party Parliamentary Pro-Life Group. 1991 – the Jewish community of Merseyside plant trees in thanks to David for his work for the community (and again in 1993). 1992 – He announced that he would not stand again as a Liberal Democrat after the Party made abortion a party policy for the first time. Earlier in the day, at the same Conference, they had passed an animal welfare motion which included protection for goldfish on sale in amusement arcades and funfairs. Subsequently the party called for Royal Commissions to examine the legalisation of euthanasia and drugs and passed policy supporting “therapeutic” cloning of human embryos. His book Faith in Britain is published. 1995 – He became the founding co-chairman of the All-Party Street Children Group. 1996 – David Alton was made a Visiting Fellow of St. Andrews University. Signs of Contradiction is published. 1997 – David Alton was appointed Professor of Citizenship at Liverpool John Moores University and founds the Foundation for Citizenship there. In the same year he was created the youngest life peer and opted to sit as an independent Crossbencher, having left the Liberal Democrats over the pro-life issues. The Christian Democratic Press publishes Life After Death. David was also awarded The Michael Bell Memorial Award for “Initiatives for Life” by the International Alliance of Catholic Knights and Knights of St. Columba. 1998 – He became Chairman and non-executive Director of the Banner Ethical Investment Fund. 1999 – Appointed to the Catholic Bishops’ Conference Bioethics Commission of England and Wales. Citizen Virtues is published by HarperCollins. 2000 – David Alton visited Moscow in September on behalf of the St Francis & St Sergius Trust (now renamed Partners in Hope) to visit street children projects. He was appointed as a trustee of the Trust. In the same year he led the campaign to free James Mawdsley who was in prison in Burma for distributing pro-democracy leaflets. A further debate about Burma was held in the House of Lords on 2 October 2000. He joined the All-Party Parliamentary Friend of CAFOD Group, and was elected Treasurer. 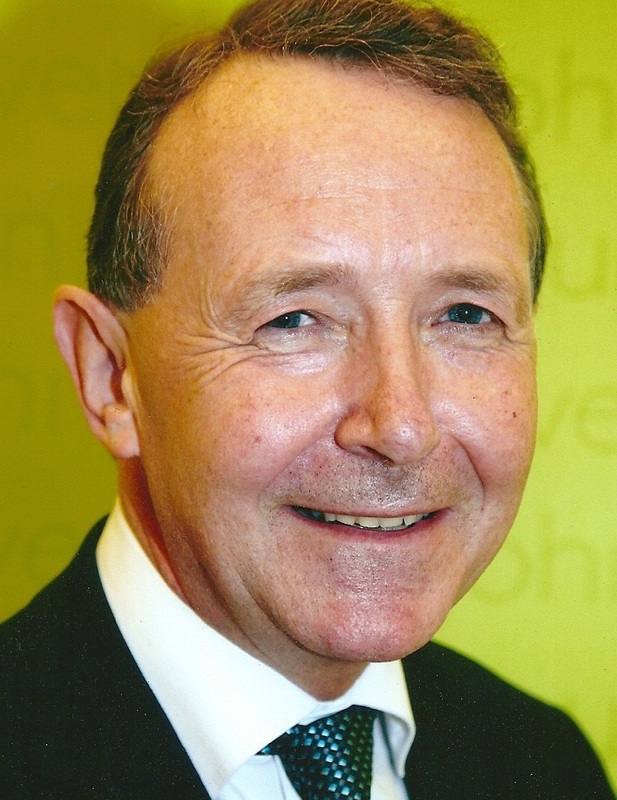 2001 – David Alton was one of the leading campaigners within Parliament seeking to thwart the Government’s attempts to legalise so called “therapeutic cloning”. He was invited to give oral evidence in November 2001 to the House of Lords Select Committee on Stem Cell Research. In October 2001 his book, Pilgrim Ways – a guide to Catholic pilgrimage sites in England and Wales – was published by St. Pauls. Citizen 21 is also published. 2002 – David Alton made a visit to Azerbaijan and Georgia, and wrote a report on the situation there. He also visited the south of the Sudan, subsequently producing a report, and initiated a House of Lords debate on the situation there. He was also appointed a Board Member of the Institute on Religion and Public Policy in Washington DC. He was made a Kinght of the Constantinium Order of St. George. In the autumn, he made a visit to Birmingham, Alabama to make 16 programmes for EWTN on the subject of the Suffering Church. He also initiated a debate and a campaign on the trafficking of children. 2003 – He visited the Burma border, Laos and Vietnam in January, and has published reports on issues of human rights and religious liberties there. He delivered a lecture on the subject of “J.R.R. Tolkien, Catholicism and Allegory” at the Catholic Chaplaincy of Bath University and Bath Spa University. In March, he also initiated a debate on North Korea in the House of Lords. David visited North Korea with Baroness Cox, raised human rights and security issues, and published a report on the situation there. Published Passion and Pain and accompanying TV series (available on DVD from Jubilee Campaign). 2004 – Visited the favellas of Brazil and published a report on the killing of street children. Later launched the web site http://www.stopkillingchildren.com. Was elected founding Chairman of the All Party Parliamentary Committee on North Korea. On behalf of Jubilee Action he visited Congo, Rwanda, and Darfur and published reports on his findings. Hosted the visit of His Holiness the Dalai Lama to Liverpool John Moores University. In Washington was presented with The Good Samaritan Award by Advocates International. Presented graduation awards to lawyers at Handong University in South Korea. 2005 – Celebrated the 25th anniversary of the Liverpool Edge Hill by-election; Re-elected as Chairman of the North Korea APG; elected Vice Chairman of the All Party Tibet Committee and Secretary of the All Party Sudan Committee. Co-founded the Jedidiah Foundation (for the Congo); appeared before a Congressional Committee chaired by congressman Chris Smith to give evidence on the imprisonment, trafficking and use of violence against street children. Hosted hearings at Westminster on the abuse of human rights in North Korea and Burma. With Martin Foley, published new books on euthanasia and abortion. Following the bombings of July 7, he initiated a “Learning To Live Together” mini-lecture series in Liverpool, addressed by key figures from the great faiths, including Sheik Dr.Zaki Badawi and Rabbi Herschel Gluck. Today – The “Good Citizen Award Schemes” now operate in over 900 schools across the North-West of England, and 50 Roscoe Lectures have been staged in Liverpool, many of which drew audiences of over 1000. He was created a Knight Commander of the Military Order of St.Constatine and St.George in recognbition of his work for inter faifh and ecumenical dialogue. 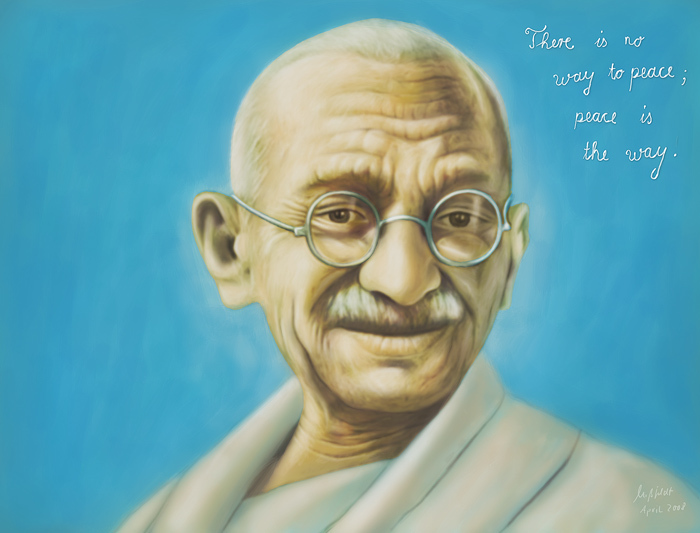 2006-11 He has continued to host the Roscoe Lecture Series; has travelled to, and produced reports about, the situation in Tibet, North Korea, Southern Sudan, and following a visit to India raised the plight of India’s Dalits. In recognition of his work for human rights and religious liberty, in 2006 Pope Benedict XVI created him a Knight Commander of St.Gregory. Throughout 2008, he vigorously opposed legislation permitting further experimentation on human embryos, including animal-human hybrid embryos and “saviour siblings” and spoke at over 30 public meetings throughout the UK opposing these measures. In 2010 he hosted a 12-part television series on the plight of persecuted Christians. In 2011 successfully steered a Private Members Bill through all its stages in the House of Lords. The Re-export Control Bill regulates the re-sale of weapons into areas of conflict. In Parliament he has continued to speak out regularly on a range of issues. Friends of St.George’s Hall, Liverpool. Professor of Citizenship, Liverpool John Moores University. Married to Elizabeth Bell, with four children. Resident in Lancashire, UK. Qualified as a teacher in 1972, working in socially disadvantaged neighbourhoods, teaching immigrant children and later children with special needs. While still a student, aged 21, he was elected to Liverpool City Council and became its Housing Chairman and Deputy Leader. Elected in 1979 to the House of Commons for a Liverpool constituency, as a Liberal, becoming the youngest member and achieving a record political swing. He was his Party’s spokesman on Home Affairs, Northern Ireland, Overseas Development and the Environment, and served as Chief Whip, Chairman of the Party’s Policy Committee and President of the National League of Young Liberals. In 1987 he published “What Kind of Country?” – the first of ten books. He has also authored several reports on human rights in countries such as North Korea, Burma, the Democratic Republic of the Congo, Brazil, Sudan/Darfur, Tibet and Rwanda – all of which he has visited. Details of his reports and speeches on human rights and religious liberties are available on this web site. Among the international awards he has received are the Michael Bell Memorial Award for Initiatives for Life, the Korean Mystery of Life Award, and the Advocates International Award for human rights work. In 2005 he was created a Knight Commander of the Military Order of Constantine and St. George in recognition of his work for inter-faith and ecumenical dialogue. In 2008 Pope Benedict XVI created him a Knight Commander of the Order of St Gregory in recognition of his work for human rights and religious liberty. Thirty years ago, on March 29th 1979, I won my seat in the House of Commons , elected to represent Liverpool Edge Hill. With a majority of 8,133, a swing of 32%, and 64% of the votes, Edge Hill briefly became one of those record breaking by-elections. The Guinness Book of Records also listed me as the “baby” of the House and its shortest-lived Member – serving just two and a half days. The week of March 29th was a dramatic time and it would become a tragic one – with some echoes in contemporary events. On Wednesday March 28th, the night before my by-election, the Government of James Callaghan faced a crucial vote of no confidence. The vote was taken against the backdrop of the Winter of Discontent. Throughout the country the electorate was seething and there was an irresistible desire for political change. In Liverpool , endless strikes had infamously led to a refusal by grave diggers to bury the dead. The streets stank of uncollected refuse and pickets were permanently camped outside factory gates and public buildings. I sensed that voters in this fiercely Labour city – and in one of the safest seats in the country, held by them since World War One – were determined to stage a ballot box revolt. It was time for a change. At Westminster, meanwhile, a desperate last ditch attempt was being made by Labour’s Whips to avert disaster in the Division Lobbies and to gather in every possible vote. They even flew over one Northern Ireland Nationalist MP, Frank Maguire – only to find that when the vote of no confidence came, he abstained. At nineteen minutes past ten, when the Speaker, George Thomas, announced the result, Margaret Thatcher’s Conservative Opposition had won by the narrowest of margins: by just one vote. But a one vote majority was enough and it precipitated a General Election. Some defiant Labour MPs brandished their Order Papers and sang the Red Flag. At that moment I was still in full flow, addressing the last meeting of my by-election campaign at an eve of poll rally held at Wavertree’s Lawrence Road School. The two other advertised speakers, David Steel and John Pardoe, had failed to materialise because of the vote in the House. Meanwhile, at Edge Hill I told voters that their verdict the next day could help to shape that debate in the country – but was also privately anxious that voters might stay at home knowing that they would have to go to the polls again in the General Election four weeks later. From the moment I saw Liverpool people streaming into the polling stations I knew that the election would be mine. Even before the voting began a “Good Morning” letter had been delivered by an army of volunteers to every home in the constituency. One Liberal MP, Clement Freud, travelled from the Commons to Liverpool over night and commandeered Capaldi’s café, to cook bacon and egg breakfasts for the helpers. Throughout the day the excitement was electric and change was in the air. When the result was declared at the city’s St.George’s Hall, the result represented a seismic shift away from Labour. Paradoxically Margaret Thatcher’s Conservative candidate lost his deposit. Political commentators tried to make sense of it all but the runes were comparatively easy to read. The same desire for change that had propelled me in to the Commons would sweep through the country and the Conservatives would be the beneficiaries. For the Liberals the by election represented a much needed burst of oxygen. Unpopular for propping up Jim Callaghan during the Lib-Lab Pact, they had been languishing at 6% in the polls. One of their MPs, the former leader, Jeremy Thorpe, was on a conspiracy to murder charge. Morale was desperately low and, with pundits predicting wipe out, the private calculation had been that their 13 MPs would be reduced from 13 to 6. David Steel later remarked that the by-election win had helped avert catastrophe and 11 of us would make it back. Two years later, with the formation of the SDP Steel was able to forge the Liberal-SDP Alliance. But in March 1979 that week of dramatic events concluded in terrible tragedy. The day after the by-election, on Friday March 30th, Irish Republicans attached a bomb to the car of the Conservative Northern Ireland Spokesman, Airey Neave. He was killed when the bomb exploded, as he drove out of the House of Commons car park. A close friend and advisor of Margaret Thatcher’s, this outrage was the precursor of many more killings. As recent events in Northern Ireland have demonstrated, even the signing of the 1998 Good Friday Agreement, has not seen the total elimination of this curse of murderous violence. As Parliament was being on prorogued on the following Tuesday, April 3rd, I took my seat. Immediately after Prime Minister’s Question Time, having waited apprehensively at the Bar of the House, the Speaker called “Member’s desirous of taking their seats” to come forward. As I went forward to the Dispatch Box Ted Heath quipped “I see they’re recruiting them from school theses days” . After swearing the Oath of Allegiance on the Bible and shaking Mr.SpeakerThomas’ hand I went to sit on the Liberal Bench – alongside Cyril Smith. Never lost for a barb, Denis Skinner, the proverbial Beast of Bolsover, was on hand to describe us as “little and large.” Two hours later, immediately after Barbara Castle, made her “swan song” speech to the Commons, I made my Maiden Speech. In other circumstances this would have been seen as premature and precocious – but the House understood that for me it might be a case of now or never. I remarked that following Airey Neave’s cowardly murder the House “was bathed in sorrow”, that in a free society “the bullet can never replace the ballot” and I pointed to the progress made in Liverpool in banishing the blight of sectarianism, and conquering bigotry of all kinds. I reflected on Liverpool’s unemployment crisis, poor housing and deprivation and contrasted it with grandiose “pie in the sky projects.” I also talked about the low esteem in which politicians were generally held by the public. Some things, I suppose, never change. Thirty years later, and from my perch as an Independent, I still believe that political service is a high calling, that democracy, with all its failings, is worth fighting for, and that the best guarantor of our freedoms and liberty is the continuing ability of the electors to turn things on their heads and, once in a while, to vote for change.